To spank or not to spank - that's the question many parents wrestle with when it comes to disciplining their children. 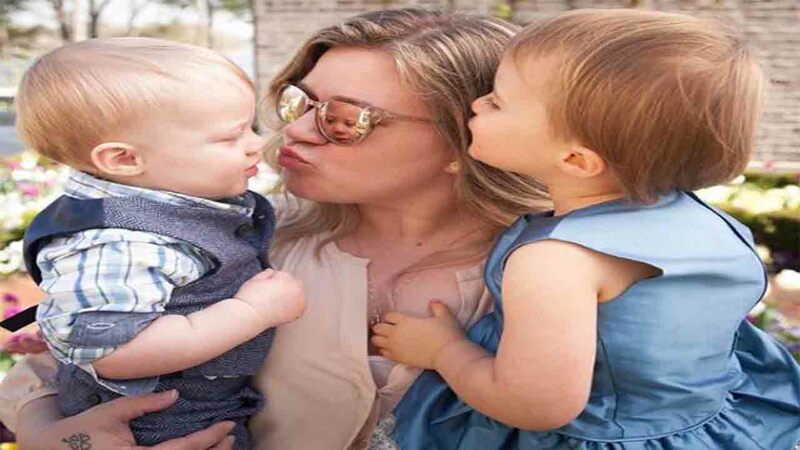 And American Idol star Kelly Clarkson is no exception. The 35-year-old singer is now the center of a social media debate after revealing that she disciplines her kids the same way her parents did with her - spanking included. "I'm from the south, y'all, so like, we get spankings," she explained on the Rochester, New York-based radio station last week. "So, my parents spanked me and I did fine in life and I feel fine about it." And when it comes to her daughter River Rose, 3, and son Remington, 1, she said she isn't "above" a little tough love. "I'm not above a spanking which people aren't necessarily into and I don't mean like hitting her hard, I just mean a spank." Clarkson said it's hard to disciple her kids being in the public eye because of what is deemed "socially acceptable." "So, that's the tricky thing, when you're in public 'cause then people are like, you know ... they think that's wrong or something, but I find nothing wrong with a spanking." Even though Clarkson acknowledges that not all parents agree with spanking, she said it won't curb how she's going to raise her children. "I'm a well-rounded individual with a lot of characters so I think it's fine." While new generations of parents are frowning on hitting their children's bottoms, the public by a 2-1 margin actually approves of spanking children in principle, and half of the parents said they sometimes do it to their own kids, an ABCNEWS poll found.